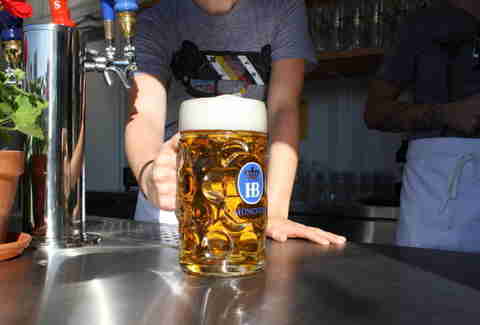 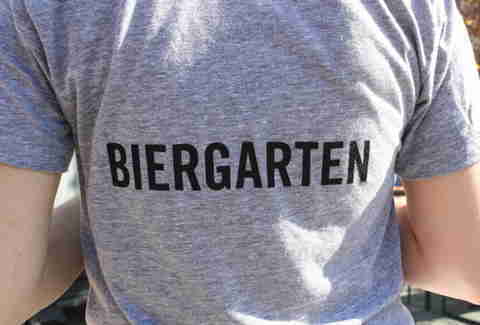 Biergarten is exactly what it sounds like: a magical garden where farmers lovably misspell everything and 40oz Red Dogs grow from large vines!! 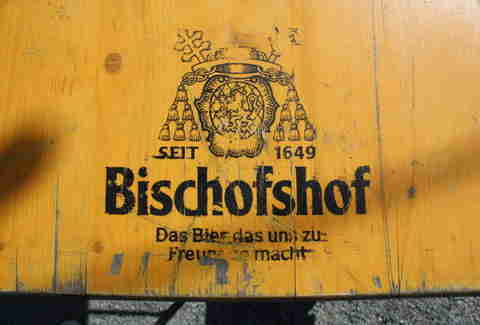 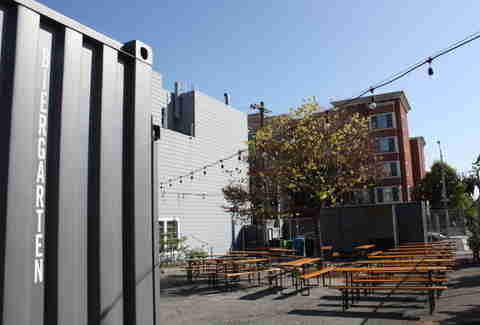 an authentic outdoor German beer garden -- courtesy of ze dudes behind Hayes Valley's boot-serving wunderkind Suppenkuche -- with zig-zagged Christmas tree lighting overhead, used Deutschland beer garden tables imported from South Germany, and two food-and-drink-serving shipping crates surrounded by a greenery'd chain-link fence with a massive Western Redcedar sliding door. 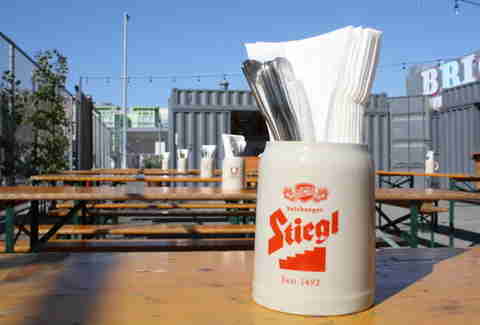 Beers will be poured at the shipping container to your right -- there'll be six Germanic brews on tap which'll rotate (like Stiegl-Pils, Weihenstephan, Hofbrau's Oktoberfest, and Schneider-Weisse), all served by the liter and half-liter along with Augustiner Edelstoff, which's bottled, just like the trunk of Mel Gibson's car. 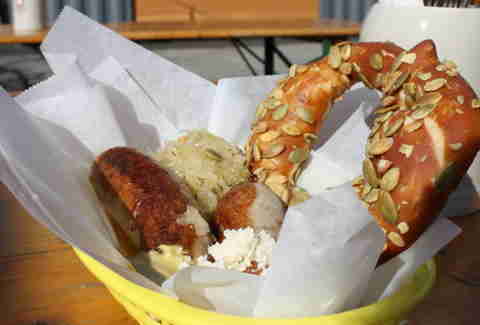 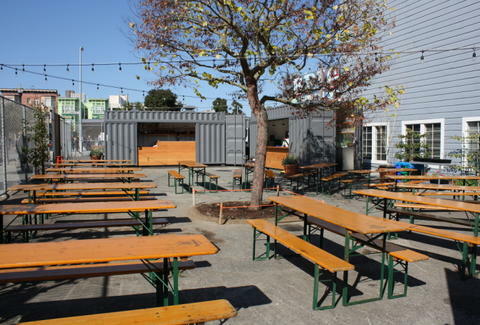 Food will be made at the shipping container to your izquierda, including two bigger-than-at-Suppenkuche pretzel offerings from Firebrand in Emeryville, beet/potato/radish/kraut salads, a chive and lardo brown bread, bratwurst with Sauerkraut, and a charcuterie and butter sandwich served on a pretzel knot, or as those lovable farmers spell it, um...well, pretty much like that.